One of the key planners and executors of the 2000 coup says the Republic of Fiji Military Forces (RFMF) saved the country from plunging to into anarchy. 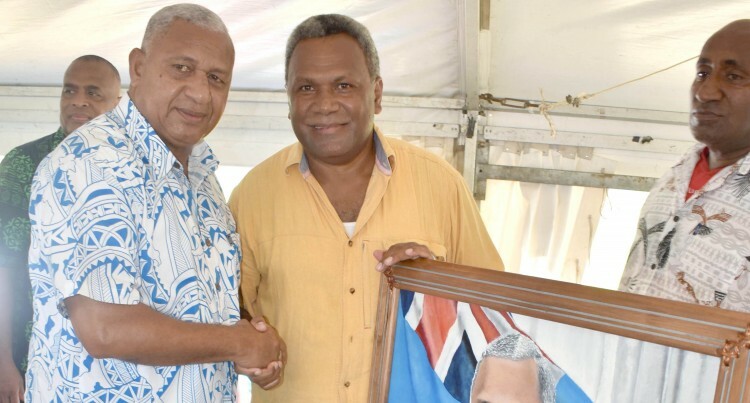 Maciu Navakasuasua, a former explosives expert at the Vatukoula Gold Mines and artist said: “I take umbrage at the statement by National Federation Party Member of Parliament Parmod Chand blaming Prime Minister Voreqe Bainimarama and the RFMF for the 2000 coup. “Where was Mr Chand in 2000? I was there. I was part of the group that planned and carried out the coup,” Mr Navakasuasua said. “If the RFMF had not intervened, we would not be where we are today,” he said. “It was fortunate that Prime Minister Voreqe Bainimarama, then the RFMF Commander, led the military to restore peace as we have it today. He said he was on the opposite side of the RFMF in 2000. He said the coup was the idea of the Nationalist Vanua Tako Lavo Party. He said the party wanted to expel Indo-Fijians and install an all iTaukei Government. He said they had enlisted some members of the Counter Revolutionary War Unit of the RFMF to stage the coup. The party leader, the late Iliesa Duvuloco, was asked to lead the coup but he declined. On the eve of the planned coup Mr Duvuloco had suggested that Mr Navakasuasua and another person approach George Speight because he was intelligent and spoke fluent English. “The plan was that we (party) would control everything including media releases. Speight was only the mouthpiece. But after the coup Speight took control. Other political interests began to emerge and jumped on our bandwagon,” he said. He said that began to complicate progress. He said the plan was to take over Parliament, throw away the Constitution and install an interim Government. The Great Council of Chiefs tried to mediate between us and the military. He said some of the chiefs and the talatalas (church ministers) supported them. “We were also supported by some businesses who did not like Mr Chaudhry,” he said. He said personally, he did not support the violence going on out there in the country. He said he lost his uncle in Kalabu, where the rebels were holed up. RFMF soldiers went in and forcibly broke up the camp. He and others were later charged with treason. He was sentenced to four years imprisonment and served on Nukulau Island. After his release he went to Australia. He said people, especially the Indo-Fijians who were targeted by the rebels, should be grateful to the RFMF and Mr Bainimarama for protecting them in 2000.